We’ve heard you loud and clear! After enough requests from our readers, we got our experts together to take a look at all of the different two wheel scooters out there on the market and put together a list of their top ten choices for the best two wheel scooter of 2018. Read on to see their top ten picks, and don’t forget to check out the comprehensive Two Wheel Electric Scooter Buyers’ Guide that follows. Without a doubt, one of the biggest trends that has been on the rise over the past year or so has been the popularity of two wheel scooters. From musicians like Wiz Khalifa, John Legend, and Rhianna, to sports stars like Mike Tyson and David Ortiz, there’s no shortage of celebrities who love riding their electric scooters. And just go down the street in any larger city or college town and you’re bound to see a number of riders steadily strolling down the sidewalk on theirs. But with all of the different brands and models out there – and especially with all of the safety concerns that have popped up in recent months – how can you be sure that you’re getting a good deal on a safe and reliable two wheel scooter? To help you make the best decision possible, our team of expert product reviewers have put together a list of the 10 best two wheel scooters out right now, as well as an in-depth look at their top pick for best two wheel scooter of 2018. If your primary goal it finding a great, high-performance two wheel scooter that is both reliable and safe, and you want nothing but the best in quality and craftsmanship, any of these three top picks will suit your needs just perfectly. There’s a pretty big chance that if you’re here reading this guide, you’ve already heard of the Swagtron T1. That’s because Swagtron is one of the original players in the two wheel scooter market and still is, without a doubt, one of the most popular brands in the world. What’s garnering all of that popularity? It’s likely their high-end craftsmanship and safe, reliable components. The T1 is made out of a high-quality aluminum alloy frame, and consists of only the best parts and UL certified-safe batteries. The Swagtron T1 has a maximum speed of eight miles an hour, but it has a learning mode that’s set slower to help you get the hang of your two wheel scooter before attempting any high speeds. And what about range? The T1 has a maximum range of just over ten miles per charge which makes it one of the fastest and most long lasting 2-wheels out there. Priced far lower than our #2 and #3 picks, there’s no better choice for anyone who has a reasonable budget for a quality two wheel scooter. 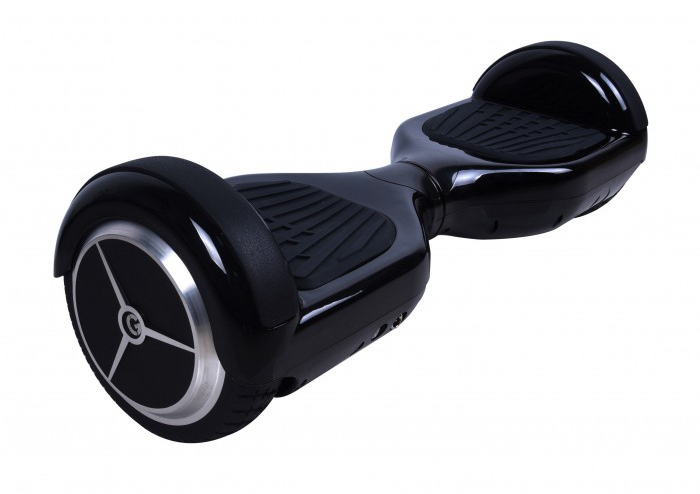 Produced by the American company Hoverboard, the Powerboard Self Balancing Scooter is a good upper mid-range scooter that provides performance with peace of mind thanks to its UL certified battery and charger. Weighing in at 27 pounds, the Powerboard can operate for up to 12 miles at a time, and move at a speed of 6.5 miles per hour. This makes it a good choice for anyone who wants to travel longer distances in between charges, and who doesn’t need extremely fast transportation. 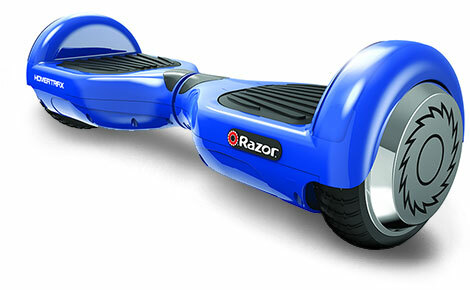 This is best on sidewalks and other public areas where high speed could be too dangerous. 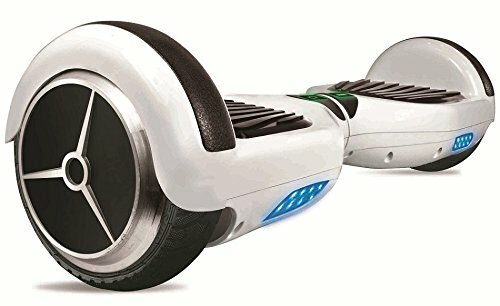 The Powerboard Self Balancing Scooter is good pick for anyone with a slightly higher budget who is seeking a reliable, better than average board. And while the Powerboard has UL certified parts and a marginally higher maximum speed, its higher weight keeps it from taking the #1 spot on our list. Do you remember Razor scooters and how they reinvented the traditional scooter market? Now they’re back and they’ve already made a name for themselves in the two wheel electric scooter world with the Razor Hovertrax 2.0 Electric Self-Balancing Scooter. While the Hovertrax retains all of the quality that the Razor brand is known for, it is a little slower than some of the other electric scooters with a maximum speed of around 8 miles per hour. It’s also got a little lower of a maximum range which is supposedly between 8 and 10 miles. While not as powerful as other mid-range models, and in many cases more expensive, the Razor Hovertrax 2.0 Electric Self-Balancing Scooter is a good buy because of its high-quality brand name, but may not be the best value for everyone, depending on their own individual preferences. Looking for a slightly cheaper option? We understand that not everyone has the budget to purchase one of the top three models on our list, so we’ve put together another seven mid-range 2-wheel scooters that, while not as powerful and durable as the top three picks, still remain safe and reliable while also providing excellent value. For its price, the Skque Self Balancing Scooter has a lot to offer. First off, there are three different models of the Skque: 6.5”, 8”, and 10”. Those numbers refer to the size of the wheels, with larger dimensions equating to a smoother ride that’s able to withstand much more rugged surfaces. 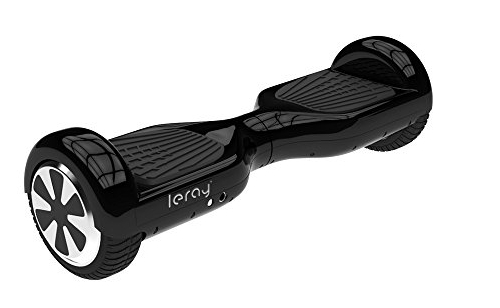 If you’re going with a Skque, we recommend sticking with the 6.5″ model for the smoothest ride. At the 10” level it can be a little much for all buy the tallest and heaviest riders, but for a larger-sized smart board, the Skque 10” is the best value out there. While the maximum speed on the 6.5” scooter is just 7.4 miles per hour, it is able to operate for a maximum range of over 12 miles because of its high-capacity 4400mAh Samsung Battery. And thanks to its rapid charging feature, the Skque can be fully powered up in as little as two hours. For anyone searching for a two wheel scooter that’s different than the flood of seemingly identical boards out there, the Skque Self Balancing Scooter is a great option. Looking for an affordable mid-level electric scooter that offers both affordability and a good mix of speed and range? 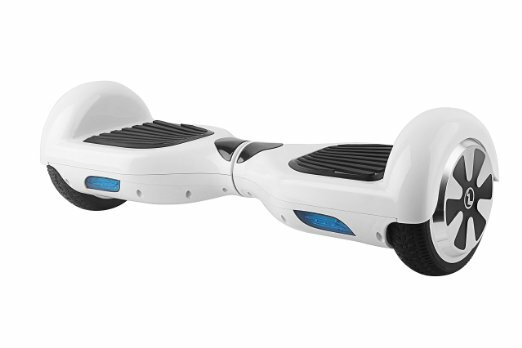 If so, the Glidecraft X100 Smart Balance may be just what you need. Powered by a strong UL certified 4400mAh battery, the Glidecraft X100 can reach a maximum speed of around 10 miles per hour while maintaining its charge for up to 9 miles – which are some pretty impressive qualities for a scooter in this price range. According to their website, Glidecraft claims to be the only two wheel scooter brand with a 5-star safety rating, which definitely helps to further separate the X100 from other units in its price class. Without a doubt, if you’re on a tight budget, the Glidecraft X100 Smart Balance is probably the best 6.5” scooter that you can get for the money. Weighing in at 25 pounds, the Leray Self Balancing Scooter is a little bit lighter than many other comparable models, making it a good choice for anyone who will need to carry their scooter often – such as into work or class. Because of its slightly smaller build, the Leray two wheel scooter has a maximum weight limit of 220 pounds. In comparison, many other higher-end models can hold between 275 and 325 pounds. The Leray Self Balancing Scooter has a maximum speed of around 12 miles per hour, and can go for up to 12 miles on a single charge. Need to power the battery back up? The Leray can go from dead to a full charge in under two and a half hours. Another one of the more famous models of two wheel scooters, the MonoRover R2 is an upper mid-range hover board that offers an improved alternative to the standard scooter, without quite as high of a price tag as the Swagtron. This makes the R2 another great buy for budget shoppers. The MonoRover is actually even more lightweight than the Leray, although it is going to be a little more expensive. That does, however, still make it a great choice for anyone who will be carrying their scooter frequently. The top speed on the MonoRover R2 is limited at around 6 miles per hour, although a single battery charge does provide a range of up to 12 miles. This model also has a maximum weight limit of 220 pounds. Unlike some of the other models in this class and price range, however, while the R2’s battery is widely considered to be safe and hasn’t been known to have any problems, it is not UL certified. If you’re sole goal is to find an extremely high-quality 2-wheel scooter that is safe, stylish, and durable, you can stop right here at the PhunkeeDuck Personal Transportation Device. The PhunkeeDuck is proud to brag that all of the parts they use in their electric scooters are FCC, CE, and RoHs certified, ensuring the highest quality build you’ll find in just about any option out there. 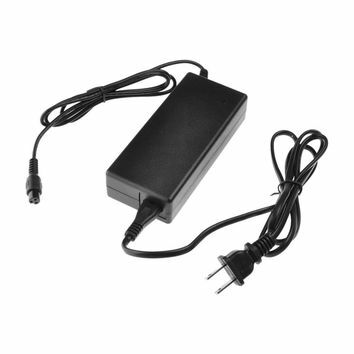 The lithium ion battery are even UL certified for even greater peace of mind. 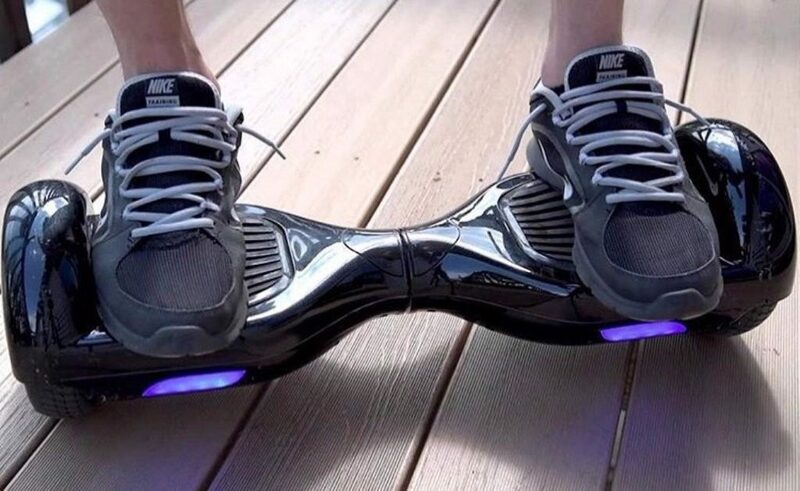 Slightly faster than the Swagtron, the PhunkeeDuck has a maximum speed of 12 miles per hour (making it quite possibly the fastest model on our list), although it maintains a similar potential range – around 10 miles. There is, however, one downside of the PhunkeeDuck Personal Transportation Device (and it’s what’s keeping it from being our #1 pick): the price. Sure, you’re getting a super high-quality smart board, but you’re definitely paying for it. Unless budget is of little concern to you, or safety and reliability is the only thing you care about, we’d recommend checking out one of the other, more affordable options first. Rounding out the bottom half of our list is the IO Hawk Personal Mobility Device. IO Hawk, a Los Angeles-based company, prides themselves on producing one of the best two wheel electric scooters on the market. The IO Hawk is similar to the PhunkeeDuck because it’s made using many of the same manufacturing technologies. It is, however, a little bit slower: its maximum speed is just 6.2 miles per hour – which trust us, is plenty fast on a two wheel scooter. But because of its reduced speed, it’s able to offer a maximum range of up to 12 miles. Overall, depending on your speed vs range preferences, the IO Hawk Personal Mobility Device is a solid alternative to the PhunkeeDuck in the same price class. 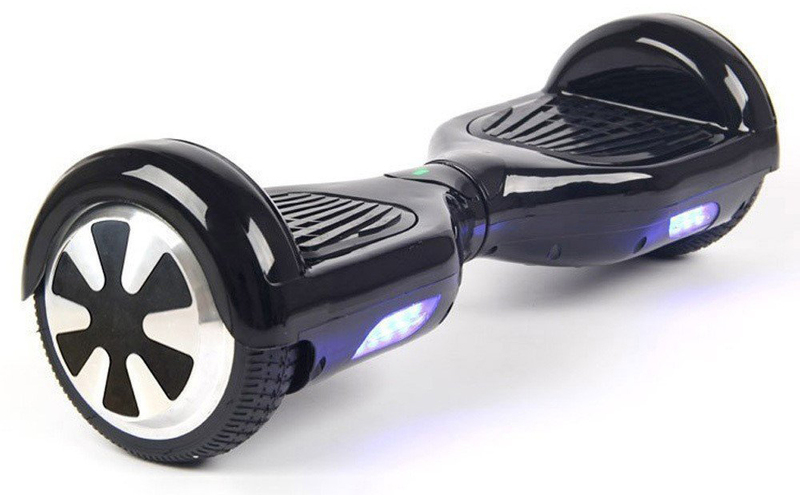 And just like the PhunkeeDuck, while it deserves to be in our top three because of how reliable and well-built it is, most people would be better off saving some money and going with a slightly lower quality – but much more affordable – model like the Swagtron. Taking the bottom spot of our top ten best two wheel scooters, the Jetson Electric Glyro Self Balancing Scooter is a solid option for anyone on a very tight budget seeking a reliable board. Frequently priced lower than nearly all of the other scooters on our list, the Jetson provides mid-grade performance at the same price as many generic, lower quality boards. There are, of course, going to be some negatives attached with the Jetson Electric Scooter – primarily its maximum speed of around 5 miles per hour and a maximum range of just 8 miles. In these terms, this is the weakest scooter that made the list, but its shortcomings are made up for by its considerably lower price. It’s definitely not our first recommendation for anyone looking to buy a quality 2-wheeled scooter, but the Jetson Electric Glyro Self Balancing Scooter is still worth considering if your budget doesn’t allow for any of the other, more expensive, boards that we’ve mentioned so far. Want to know about little more about two wheel electric scooters? Here, in our Two Wheel Scooter Buyers’ Guide, we’re going to go over all of the different things that you need to know in order to be able to make a well-informed decision on the best 2-wheel scooter for your unique individual needs. What Is a Two Wheel Scooter? Put in another way, a two wheel scooter is a type of compact battery-powered self-balancing electric scooter which is easily rechargeable for frequent use. You’ll find the same core design on nearly all models of 2-wheel scooters: two individual wheels that are parallel to each other with a small standing area in between. Rather than utilizing handle bars or a steering wheel for direction, the rider is able to control their two wheel scooter by slightly moving their feet and activating the built-in gyroscope sensors. What Other Names Are There? Since two wheel scooters are still gaining popularity, we haven’t seem to be able to establish just a single name for them yet. If you talk with ten different people, you’ll likely hear ten different names for these devices. We know this can make everything seem a little more confusing, but more often than not most of these references all refer to the same thing: a two wheel electric scooter. Don’t ask us why people have so many different names for the same thing, but just know that the next time you see or hear any of these terms, they’re all referencing the same product: a 2-wheel scooter. How Do Self-Balancing Electric Scooters Work? Think of it kind of like your smartphone: most modern mobile devices have built in gyroscopes that can tell when you’ve moving them. Have you ever played a game that required you to move you phone? That’s the same type of technology that two wheel scooters use. When you lean your feet to the front, the sensor recognizes the movement and tells the scooter’s logic board to move the wheels forward. What Does a Reliable Scooter Cost? There are a lot of different companies out there that are making two wheel scooters – many of them coming from overseas in China. While there are still a number of great US brands, include Swagtron and IO Hawk, you can expect to pay more them than their foreign counterparts. First off, it’s important to mention that you should never be shopping for an electric scooter on cost alone – going for the cheapest option can lead to purchasing an unsafe knock-off that could potentially overheat at any time. Instead, you should be focusing on finding the best deal possible on a smart board from trusted, well-known brand. On the low end, you can find mid-grade two wheel scooters for between $200 and $300. If you’re looking for a lower high-end model, anticipate shelling out between $300 and $600. And for a leading US brand, the prices can jump anywhere from around $600 to upwards of $1,500. How Fast Can an Electric Scooter Go? Not all electric scooters are designed to go at the same speed: some are made to operate at a higher velocity, while others may limit power for extended battery life or regulate the speed for safety reasons. You should always look at a unit’s max speed and make sure you’re comfortable with it before making any purchase. For the most part, the average retail two wheel scooter will have a maximum speed of anywhere from 5 to 10 miles per hour – a range which could be compared to somewhere between a quick jog and a fast sprint. If you’re looking for something even faster, you’re in luck: there are a number of high-performance two-wheel scooters that can operate between 10 and 15 miles per hour – faster than the average bicycle. Some models have even reported max speeds in upwards of 17 mph, but at that level riders should be wearing appropriate safety gear, including a helmet and padding. Charging times for two wheel scooters will vary, primarily in accordance to the capacity of their individual batteries. As a general rule of thumb, however, you can expect the average electric scooter to take between two and three hours to fully charge. It is worth mentioning, however, that most industry experts recommend removing your scooter from its charging base once the battery is at its full capacity. Letting it sit there indefinitely is one thing that has caused overheating in low-quality boards, and while it isn’t much of a safety concern for high-end units, leaving them plugged in can still damage their batteries’ ability to hold a charge in the future. Are Two Wheel Scooters Safe? With all of the recent news stories about two wheeled scooters that have been all over the media for the past few months, a lot of people are asking whether or not two wheel scooters are safe. By and large, there’s absolutely nothing to worry about when you’re talking about a big name, high-quality electric scooter. To put it in perspective, nearly every single incident with scooters overheating and catching on fire have happened with extremely cheap, knock-off brands from China. If you’re purchasing a 2-wheel scooter from an American company – or one of the highly-reliable foreign sources – you really don’t have anything to worry about. With our Two Wheel Electric Scooter Buyers’ Guide winding down to a close, we wanted to share a few of the most important, expert recommended tips for buying a two wheel scooter. By following this helpful advice, you can rest assured that whichever electric scooter you choose will be safe, reliable, and perfect for your own unique needs. If you’re shopping for your young child, stop right now. Most two wheel scooters are designed for adults and children age 12 and up. Electric scooters can be dangerous for anyone younger, and should only be used with proper safety gear and under full adult supervision. Don’t buy a random brand of scooter just because it’s cheaper. While many of these lower-cost options are perfectly safe, you run a far greater chance of getting a defective knock-off that has the potential to overheat and start a fire. Don’t get stuck without a charge. For most people, the average range of 10-15 miles per charge is fine, but forgetting to power up your unit in between uses can leave you stuck far from home and forced to carry your scooter back. Always charge it in between trips. Know the laws in your area. Many major cities like New York and London have banned two wheel scooters from being used on the sidewalk, and a number of airports and airlines have banned them as well. If you plan to ride in public, make sure you’re not breaking the law in your municipality. Best Two Wheel Scooter 2018? Congratulations – you made it to the end of the Respectable Reviews Two Wheel Electric Scooter Buyers’ Guide. By now, you should be equipped with a much deeper understanding of 2-wheel electric scooters, which brands are the best, and how to make sure that you’re purchasing the right electric scooter for your personal needs and planned usage. Now that you understand a little more about electric scooters, make sure that you scroll back up and take another look at our top 10 2-wheel scooter picks– we promise you can’t go wrong with our experts #1 choice for best two wheel scooter of 2018 – the Swagtron T1 – or any of the other great models that made it onto the list.